Prior to 1920, radio broadcasting consisted of dot-dash telegraphy, ship to shore, and point to point communication. Using radio waves to transmit voice and even music was in its infancy, but was gaining in curiosity and potential. There was considerable amateur experimentation. Radio became a popular hobby—amateur operators purchased the parts, built their own radio transmitters and receivers, and communicated with their new “Ham” radio friends hundreds of miles away. Following World War I, patents were released, broadcasting and recording equipment improved, the AM band was developed, and RCA (Radio Corporation of America) was established. Soon commercial radio broadcasting was born—regulated at that time by the Department of Commerce, which began to issue commercial licenses and oversee this exciting new technology. John Shepard III and Robert F. Shepard were grandsons of the founder of the enormously successful Shepard’s Department Stores and were, of course, working in the family business. In 1922, John III, 36, was assisting his father at the original Shepard’s Boston store while Robert, 31, had recently taken over the Providence operation. Robert attended Yale, served in World War I, and by all accounts, was content in the family endeavor. Older brother John prospered in retail life as well, but he was drawn to something else—a sort of new modern frontier. It was John who was fascinated by this new radio technology and all its possibilities. Even though many of his contemporaries figured it no more than a passing fad, John was convinced radio could boost his stores’ bottom line. With a commercial radio license to broadcast, John thought, folks from all over would be drawn to the Shepards’ stores to see live radio shows, they could sell the parts so customers could build their own radio receivers or even sell radios that were already assembled. Maybe most of all, a commercial license would allow him to broadcast advertisements, and what an advantage that would be as Shepard’s waged a bitter battle with rival department stores in both growing cities. 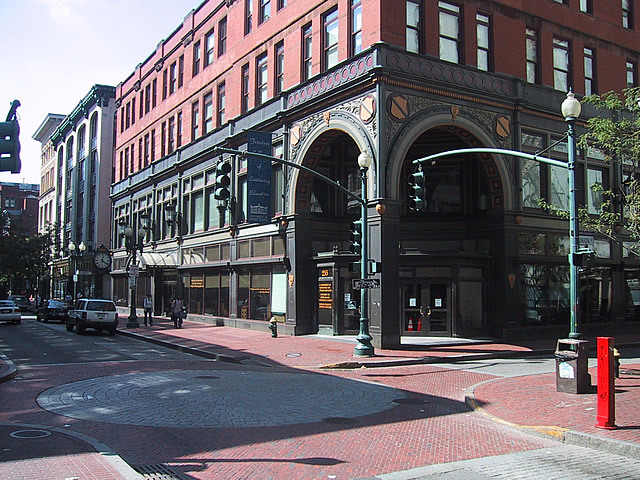 His Providence competition included Gladding’s, The Boston Store, Diamonds, Cherry & Webb, but most of all—The Outlet Company. John and Robert applied to the Department of Commerce for licenses. As it happened, Robert was able to launch WEAN in Providence a month before John could put WNAC on the air in Boston. WEAN became the first commercial radio station in Rhode Island when it signed on the air June 5th, 1922. Two months later, Joseph and Leon Samuels of the rival Outlet Company launched WJAR, just a block from the Shepard’s Store in downtown Providence. So now, John III and Robert Shepard were both retailers and pioneer broadcasters. In 1923, John was elected Vice President of the National Association of Broadcasters at the group’s first convention in Chicago. By 1930, WNAC and WEAN shared programming so the brothers created the Yankee Network. Its first affiliate was WNBH in New Bedford. In 1934, John created the Yankee News Service out of a lack of cooperation between local newspapers and his radio stations. His slogan was “news while it is news.” This “Press-Radio” war was initially won by the newspapers when Congress legislated that radio stations were only allowed to air two newscasts a day. John would see to it that did not last long as he fought to make certain his reporters had the same access as the "newspaper" press. 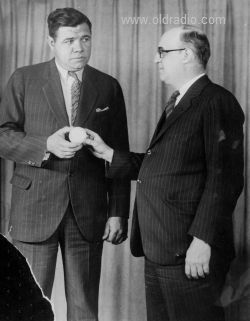 In 1937, with the Yankee Network flourishing and affiliates all over New England, John closed his Boston Shepard’s store to devote all efforts to his broadcasting business. Finally, in 1943, John Shepard III wanted out and sold controlling interest of the Yankee Network to the General Tire and Rubber Company and with it, ownership of WEAN and WNAC. John Shepard III was a controversial figure in those early years of radio. Some found him ruthless and abrasive, but he was also an innovator. He died in 1950 at the age of 64. John and his wife Mabel had three daughters. Mabel died at the family home in Brookline in 1992, at the age of 102. Robert always believed in truth in advertising as number one in importance. He sold the Shepard’s store in Providence in 1970 and passed away in 1975 at the age of 84, leaving behind a daughter and two sons. The Rhode Island Radio Hall of Fame has created this award to recognize these two businessmen brothers for their remarkable efforts as early commercial radio pioneers and innovators, for launching Rhode Island’s first radio station, and for their keen sense of radio’s full potential. The RIRHOF proudly presents The Shepard Award to honor an important contributor to the business and support of Rhode Island radio during his/her generation through leadership, dedication, achievement, innovation, and spirit. · In those early years when radio was considered a hobby or a fad, most people enjoyed purchasing the parts to construct their own device. Shepard’s was among the first to sell radios that were already assembled. Sometimes they were pre-assembled right at the store. · A not-so unique strategy--the WEAN studios were deliberately placed at the rear of the store so patrons would have to pass by all the merchandise on their way to see the live broadcasts. · WEAN’s first frequency was 780kc while WJAR’s was at 890kc. · What does WEAN stand for? Nothing. Unless otherwise requested, call letters were assigned at random. In many cases, the call letters had previously been used by ships which had sunk—making those call letters available again. WJAR does not stand for anything either. · In the early 50’s, WEAN was purchased from General Tire by the Providence Journal Company. · The Yankee Network made its final broadcast to affiliates in 1967. 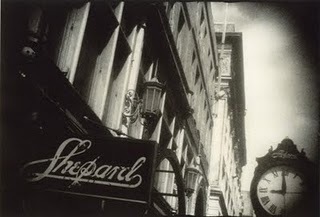 · The large brick buildings that connected to become Shepard’s Department Store in Providence still stand today, stretching from Washington to Westminster Street. It serves as home to URI’s downtown campus. "Meet me under the clock!"